Way behind on my reading list - read this a month and a half ago. Sometimes extra time is constructive, I suppose. I find the style and details creep away and I am left mulling the settings and ideas. I picked this classic Catholic murder thriller as my entrée to Greene1, and it seems an excellent choice. 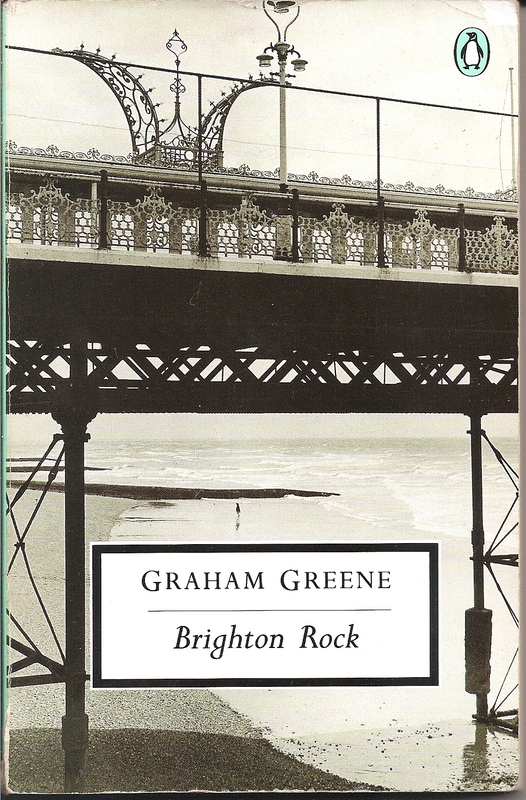 Set in the seaside diversions of Brighton, the novel opens with the murder of a London newspaperman "Fred" by young Pinkie and his recently-inherited second-tier gang. Fred's death is ruled natural, but Ida Arnold is convinced otherwise. Pinkie must lock down aging gang member Spicer and young witness Rose before Ida can pry them lose. Ida Arnold is a secular do-gooder, compelled to act by her sense of justice. Catholics Pinkie and Rose scoff; they live in a landscape of good and evil, not of right and wrong. Human justice for them is just a mechanism by which man inflicts pain on man in the guise of a god. Pinkie embraces his fate in hell, and Rose seems to beg for her corruption. Belief, setting and culture tangle in a layered Brighton, where like hard candy, everything can only ever be whatever it is in the centre. 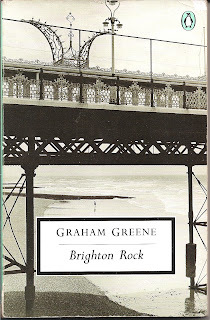 Greene's writing is rich without being florid, and his characters real but pleasantly opaque. I am a sucker for 20th century English settings, and the pier here seems as compelling a character as Rose. As far as novels with Christian themes, I feel at home in Catholic novels2. They may be informed by an ideology that is largely inaccessible to me, but at least they have the good sense not to be uplifting. My wife's uncle is a big fan of Greene, and he graciously marked the books he recommended in the "also by" of this book for me. Unfortunately, it was a library copy, which means that I no longer have the list (and also really shouldn't have marked the library copy). However, Our Man in Havana was definitely there, so I have added that to my TBR. I reviewed Flannery O'Connor's The Violent Bear It Away some time ago as a guess reviewer on my wife's book blog. The Violent is another densely Catholic novel with many overlapping themes, despite the many differences between these two authors. Reading both is like attempting a Venn diagram of the Catholic novel.